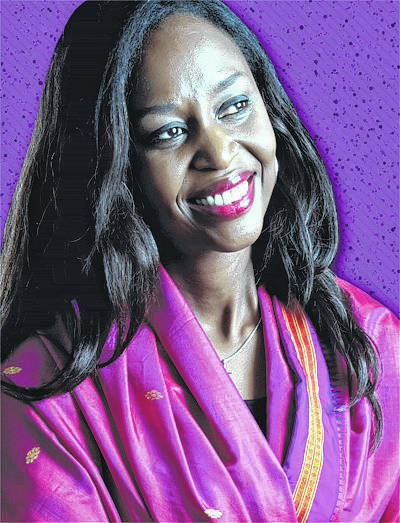 BEAVERCREEK — St. Luke Parish will host Immaculee Ilibagiza, famed Rwandan Genocide Survivor and NY Times Best Selling Author (“Left to Tell”) for a retreat about the power of prayer, faith, hope and forgiveness 5-9 p.m. Friday, Oct. 13 and 9 a.m. to 12:30 p.m. Saturday, Oct. 14. Last year, she was the keynote speaker for the Archdiocese of Cincinnati’s Year of Mercy celebrations and she is currently regarded as the worlds foremost speaker on faith and forgiveness. During the genocide, Immaculee was hidden away, along with 7 other women for 91 days in a bathroom, while 1 million people perished in the largest loss of life in such a short period in the history of the world — the Rwandan Genocide. When she came out of hiding, nearly everyone in her world had been murdered — parents, two brothers, aunts, uncles, cousins, neighbors, friends, schoolmates. During her time in hiding, faith and prayer helped her endure the horrors and today, she credits the Rosary with her survival and God for keeping her alive for the mission of sharing His message of faith, hope and forgiveness. In addition to leading the Retreat at St. Luke, she will have closed presentations to the students at Carroll High School and other area Catholic schools. The retreat is open to the public. Register online at www.immaculee.com, click on Next Retreat, click on Dayton Retreat and follow prompts. Cost is $57 for an individual or $76 for two people registering together. For group registration contact Tom at St. Luke Parish 937-426-1733 ext 301. The church is located at 1440 N. Fairfield Road. Story courtesy of St. Luke.